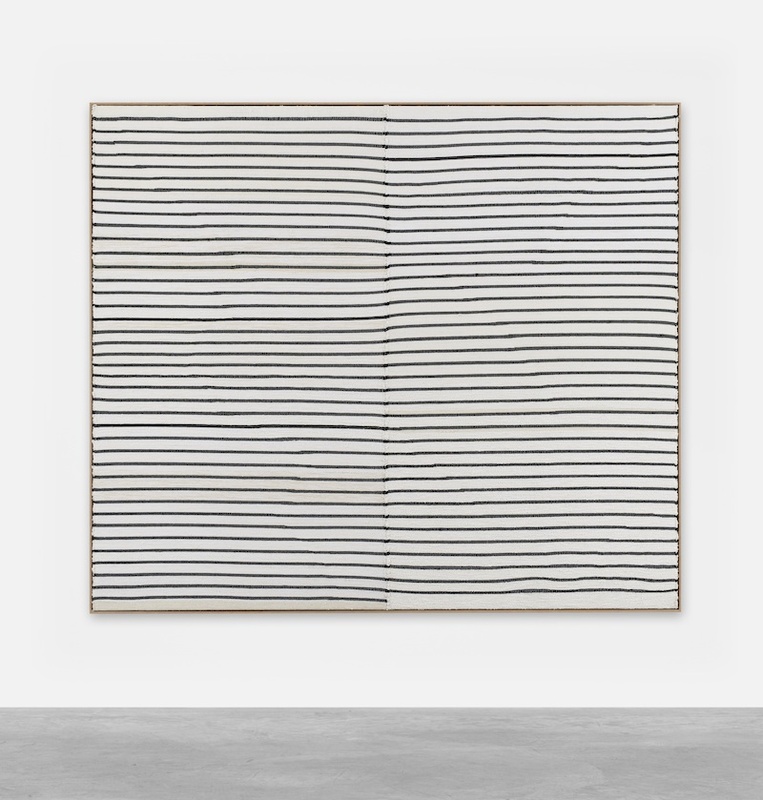 High on the list of annoying questions journalists ask Canadian artist Brent Wadden is likely the persistent inquiry into his relationship—as a young, male artist—to the tradition of weaving as an established craft practice, not unproblematically associated with women’s groups. But Wadden’s approach to his work is much less historically-imbued than the yarn some writers might like to spin would suggest: rather, he has simply found the best medium to express his desired aesthetic, and he genuinely enjoys the labour. Since he has no formal training in weaving—he studied painting at the Nova Scotia College of Art & Design—Wadden even hesitates to call himself a weaver, the profession seemingly one of lengthy initiation and apprenticeship. When I visit Wadden at the installation of his current exhibition ‘zerodayolds’ at Peres Projects, we discuss the collaborative nature of textile-making, and the difficulties of assigning single authorship to these kinds of works (as with many other art practices of this scale and time requirement). Meanwhile, gallery assistants interrupt us intermittently to have Wadden sign the backs of the beautiful, market-ready framed works before they’re mounted on the wall. There is a difficulty in assigning political or historical weight to Wadden’s artworks and, one might ask, why should we? The demand for art that speaks to our current political climate obfuscates the need for labours of love, as well. Wadden clearly revels in his work, and the outcomes are never so polished as to be without reference to his process. Walking through the exhibition, Wadden points out the extra row of stitching accidentally left over in some of the otherwise well-considered designs. There is room for error and uncertainty, and Wadden never disposes of works he’s begun. He has recently taught himself a ‘double-wide’ weave, extending the width of his works by twice the loom size. Occasionally, he stitches two of the double-wides together down the middle to create even larger works. 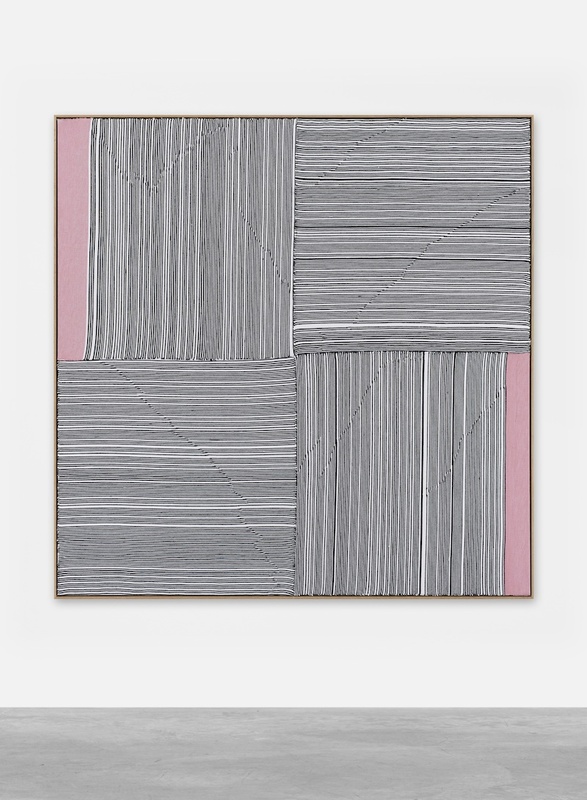 The technique has resulted in more, elongated grid-like designs and—in combination with Wadden’s understated use of colour—this evolution only reaffirms the modernist impulse of the work. The exhibition title ‘zerodayolds’ is a compound of two concepts, which astutely sum up Wadden’s approach to his practice. ‘Zero Day’ refers to a security hole in software, unknown to the vendor, which makes it vulnerable to attacks by hackers. The second half—’day-olds’—refer to leftovers, in a bakery perhaps, about to be thrown out. Wadden assures me that he’s not a hoarder, but that he does have a certain penchant for salvaging unused materials for his work. 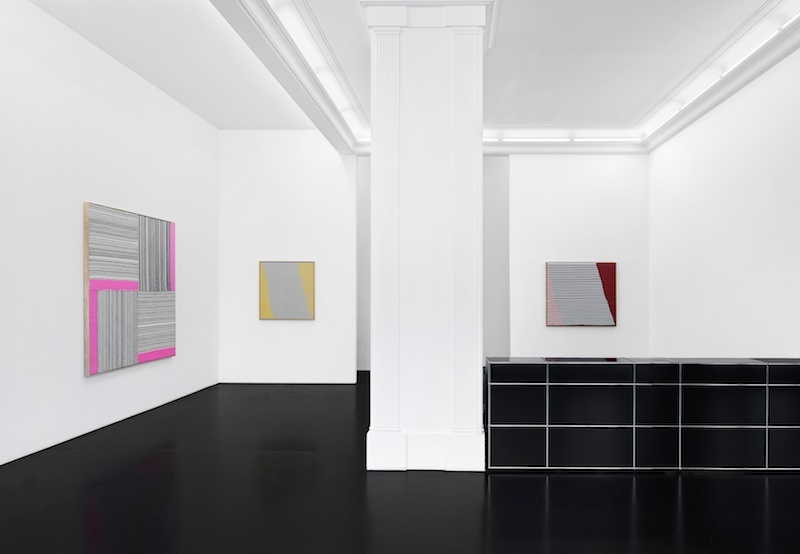 The reference to hacking is a bit less clear: perhaps his works contain, in themselves, holes that belie their studied composition; perhaps Wadden sees himself as a textile hacker, using the ‘code’ of weaving without reverence for its professionalism? In truth, most people considered the title an homage to his infant child. 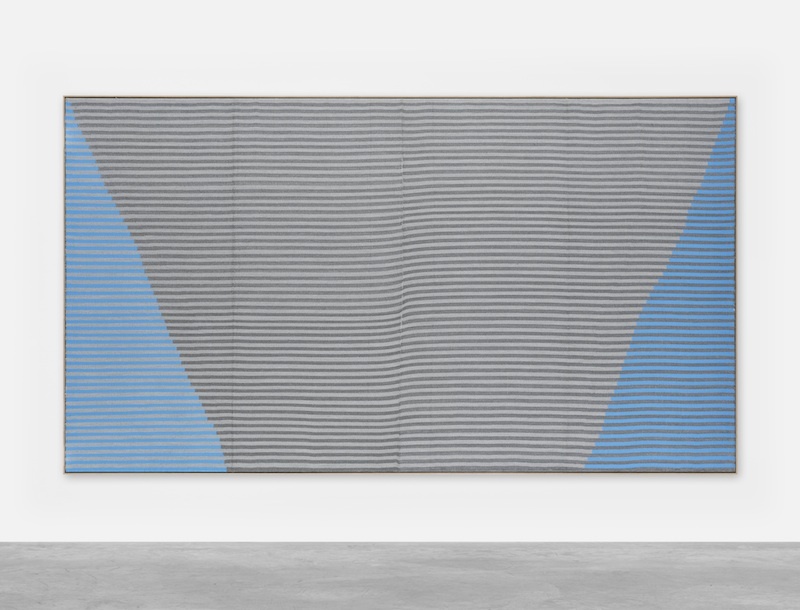 Yet it almost doesn’t matter whether the works, or the exhibition, are titled: Wadden’s woven tapestries connect more clearly to an ‘art for art’s sake’ ethos than any conceptual demands they might illicit. Despite the promise in the exhibition’s accompanying text—that Wadden’s work references “both the historical and social constructs of craft and modernism”—it does so only tangentially. The visible labour and impressive compositions are what stand out in ‘zerodayolds’. Whatever else we get is just a bonus.